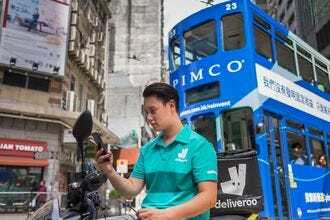 Hong Kong has a reputation for non-stop work, with breakfast snatched on the way to the office, lunch eaten at your desk, and dinner little more than a takeaway at the end of the day. So are there really any openings for a romantic dinner? The answer has to be a resounding yes. First off is the city's stunning location – set around Victoria Harbour, with skyscrapers towering on every side. 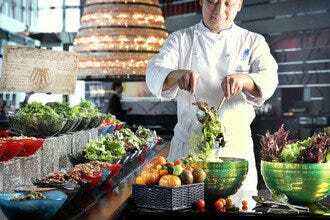 Second is Hong Kong's affection for not just Chinese food, but for cuisines from all around the world, to say nothing of a penchant for gourmet. And fine wines fill Hong Kong's restaurant cellars. 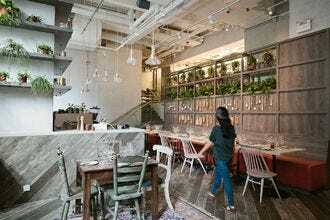 So the end result is scores of romantic dining venues, which are all the more popular as Hong Kongers need a break from their hectic schedules from time to time. Many of the most romantic restaurants are in the city's hotels, with Gaddi's being a prime example. This is gourmet dining for the upper crust, totally formal and utterly memorable. For a little more informality, hit any of the four branches of Frites -- fun food and fun times. And if it's celebrity chefs you're after, look no further than Nobu, possibly one of the most famous romantic dining names on the planet. Hutong's stunning space is a clever play of faux rustic decor against the backdrop of uber-modern Hong Kong seen from floor to ceiling windows. Much of the food, traditional northern Chinese with a modern bent, may not appeal to meat-and-potatoes types. That said, there are still a few dishes that even the most Western of palates will appreciate, such as crispy de-boned lamb ribs, wok-fried beef tenderloin with scallions and pan-fried sole. Otherwise, expect to find unusual but wonderful dishes such as shark's lips marinated with ginger and black fungi, stewed fish head, sea cucumber salad or poached frog legs with sponge cucumber. MTR: Tsim Sha Tsui. The Peninsula, aka The Pen, is the oldest hotel in Hong Kong. 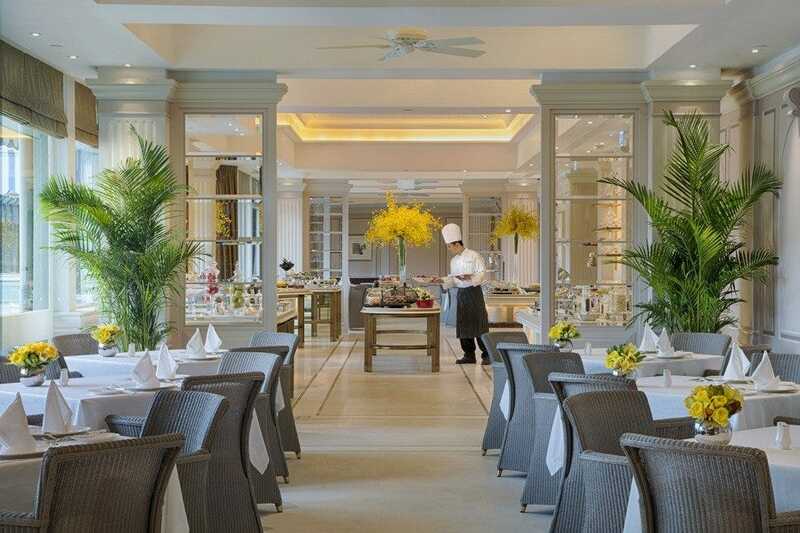 There may be newer, bigger, more spiffy hotels in the city, but this is the most venerable, and The Verandah is one of its principal restaurants and quite the most gracious place to dine intimately in Hong Kong. The buffet is like one vast path to temptation while the kitchen will cook anything that takes your fancy, from steak to fish and beyond. The staff are a delight, past masters at looking after their guests and getting their evening off to a grand start. Beautiful decor sets the seal on a great venue. 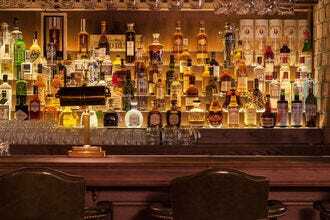 Internationally known chef Nobu Matsuhisa has acclaimed restaurants in world-class cities such as New York City, London, Las Vegas, Miami, Dallas, Milan and Tokyo. Add Hong Kong to the list! Opened at the end of 2006, this outpost is every bit as elegant, sleek and wonderful as its brothers and sisters, and the food is just as fabulous. Sushi and sashimi make up most of the menu, but there are several additional options as well, including steaks, tempura and a host of cooked Japanese dishes. Not to be missed! The restaurant's location overlooking the harbor must make it one of the most amazing Nobus around the world. French food is a natural choice for romantic diners, and there are few more opulent restaurants than this one. The well-regarded Caprice is lovely, with tastefully opulent decor and a wonderful view over Victoria Harbour. Chef Vincent Thierry's forte is contemporary French cuisine and he imports a plethora of special ingredients to accomplish the best flavors and textures. 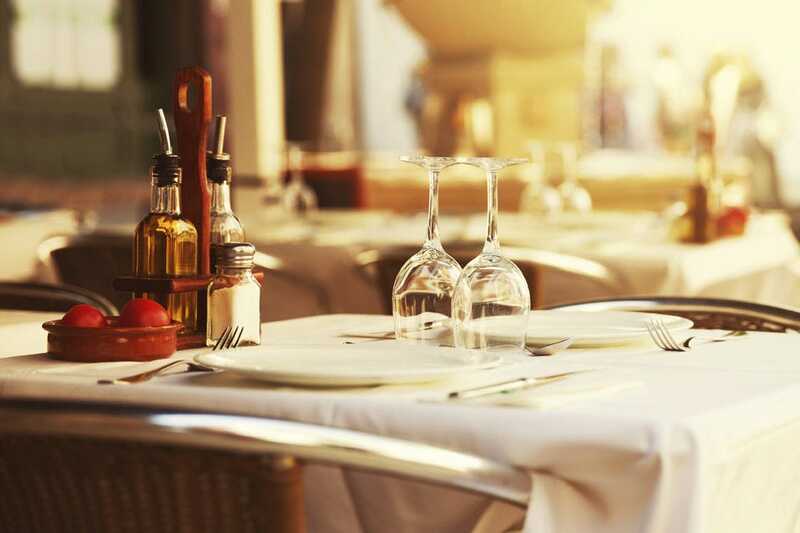 The menu changes frequently, but expect to find dishes such as Artichoke Cappuccino with Black Truffle, Pan-Sauted Veal Chop with Green Asparagus and Jus of Black Truffle, and Roast Chicken with Fondant Potatoes. If you're feeling decadent, splurge on the degustation menu. Impressive wine list. 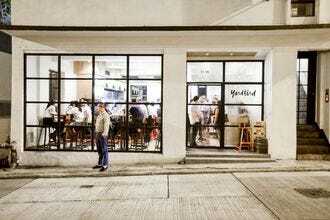 Lively Belgian beer house Frites brings a taste of Europe to Hong Kong. On entering the bistro, customers see an authentic Belgian-style bar, stocked with four genuine Belgian beers on tap and many more available by the bottle.The menu contains traditional and unique Belgian fare, including mussels in Hoegaarden beer sauce, pork knuckle. and Stella Artois battered fish and chips. At this buzzing authentic Belgian bistro customers can't help but feel part of the energy and excitement, even before your first beer of many is served. 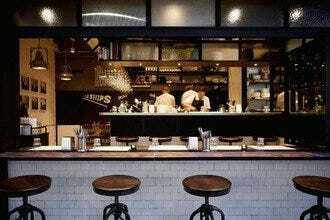 Three other branches of Frites do a roaring trade in Wanchai, Causeway Bay and Central. Take one of the world's finest cuisines, combine it with one of the world's most stunning metropolitan views, and the result is Pierre. 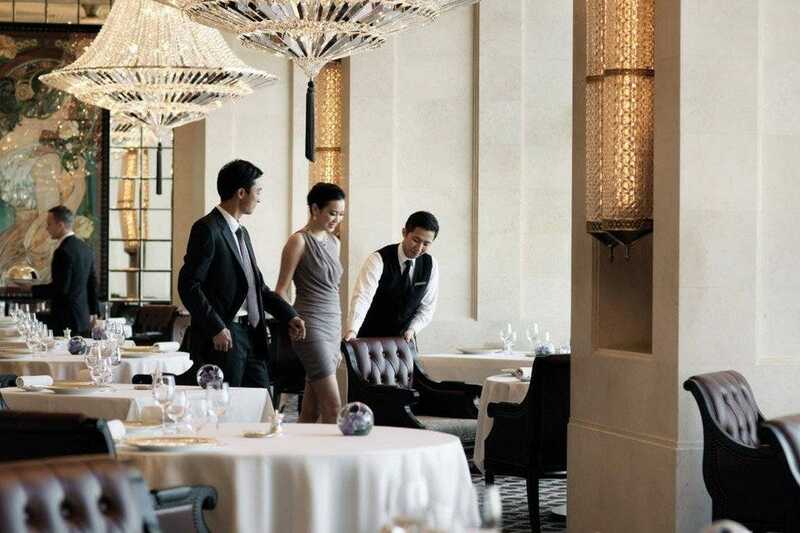 Perched on the 25th floor of the Mandarin Oriental hotel, with floor-to-ceiling windows framing Victoria Harbour, this restaurant is the personal handiwork of Pierre Gagnaire, a French gastronomic genius and recognized everywhere as a truly original and artistic chef. The dishes are both intricate and elaborate dishes, but always firmly rooted in the French cooking tradition. Chef Pierre makes regular visits here, and in his absence the kitchen is run by Jacky Tauvry, Chef de Cuisine at Pierre. There's no better romantic dining venue. Never mind that Brit celebrity chef Gordon Ramsay is the man behind London House, it's the celebrity food that's got everyone talking. Or rather, it would have, if they weren't so busy chewing. 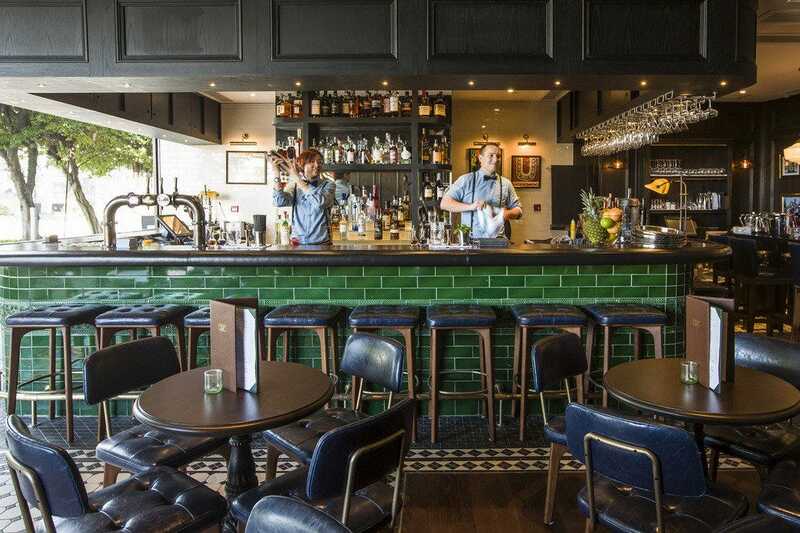 This is the place for Brit pub classics like fish and chips and bangers (as the English call sausages) and mash, as well as a stunning range of puddings. London House is spread over two levels, with an outdoor dining terrace and big screens for all the sports action however it's the laid-back atmosphere that makes it such a good dining venue. The staff, informed and friendly, deserve a minor round of applause too.